We just completed a six-day Ski Safari in the Dolomites. It should be on every serious skier’s bucket list. The Dolomites, or as the Italians say it, Dolomiti, is a vast UNESCO World Heritage Site in Northern Italy. It received the designation because of the natural beauty and unique local culture. The region, also known as South Tyrol, is the section of Italy bordering Austria. The Austrian influence is everywhere: road signs, architecture, dress, customs, and food. Imagine almost 750 miles of slopes and trails connected by an integrated skiers’ transportation system: 450+ chairs, bubbles, trams, trains, moving sidewalks, and surface lifts. That’s what we and four others explored with Tim Hudson of Inspired Italy, a SeniorsSkiing.com advertiser and Ski Safari operator. Under his cheerful expert guidance, we skied about 120 miles (123,000+ vertical feet) and stayed in four refugios, on-mountain lodge/restaurants. In addition to the lifts, we were transported at times by helicopter, snow cat, taxi, and dray horse. What a delightful and memorable experience! We skied the third week of March. It was unseasonably warm, with conditions varying from hard corduroy when we set out around 8:30AM, to ideal turning snow a few hours later, to frozen daiquiri at lower elevations. Runs tend to be intermediate and long. Picture endless white ribbons winding through cliffs, steep meadows and dense forests. Each day we encountered a black or two. One night I rode a new Piston Bully with another member of the group; one component in a nightly operation by an armada of machines tending to terrain that, stretched end-to-end, would extend from New York to Chicago. Unlike other skiing adventures, Ski Safari in this part of the world combines interesting on-mountain lodging with gourmet dining. Our first night was spent in Rifugio Fuciade, an art-filled hostelry completely redone last summer. Here, among other visual delights are fantastic woodcarvings and a signed Picasso. Our room and bath were pristine, the window framing a spectacular mountain view. Through one door and down a flight is an ultra-contemporary kitchen preparing the evening’s menu. Another flight down is the wine tasting room, an area lined with 10,000 bottles. Its transparent glass floor reveals yet another storage room for wine, cheese and regional cured meats. Another night, at Rifugio Plan de Corones, our room’s floor was sloped and creaky and the communal bathroom way down the hall. But there, too, the food was exceptional. 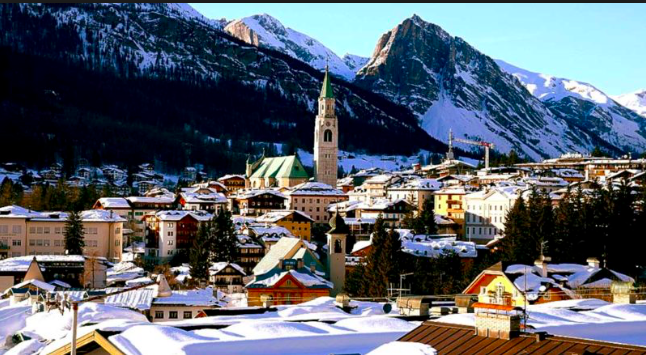 Perhaps the best-known name in the Dolomites is Cortina, site of the 1956 Winter Olympics. Curiously, for all its fame, Cortina’s lifts seemed to be the most antiquated. Not so in Val Gardena, Kronplatz, Marmolada, Arabba, and elsewhere, where new lifts are being installed and existing ones constantly updated. Many North American resorts still have lifties checking tickets. In the Dolomites, all lifts utilize RFID card scanning technology, which allowed us uninterrupted access to each of the 10 resorts we visited. At the top of each run, Tim briefed us on where we were headed, what to expect along the way, and info about geology, geography, and history. Here was a major front line in WWI. This trail is used for the Woman’s World Cup Downhill. That one is where the world’s longest slalom is held. The info was interesting; his delivery, entertaining, and his attention to clients impeccable. One morning we skied an endless trail into a valley running through a broad circle of towering peaks. To the side of the trail a lone ice climber worked his way up a frozen face of arctic blue. No other skiers, no other sounds, just the deep pleasure of being in the moment. Most days we stopped for lunch around 1:00. Tim’s selections were invariably first-rate. Most places have similar menus of regional offerings. Some are modern, others more traditional. The group had bonded quickly and every meal reflected a sense of its gemütlichkeit. Around noon one day, frozen daiquiri was getting to my legs and Tim, always attentive to staying on schedule, advised that Pam and I should take an hour-long taxi ride to reach a lift where we’d be able to access that night’s refugio. In essence, I was being temporarily kicked off the island, but he made a good call. One hairpin turn after another, the taxi snaked up and down forested vertical valleys, through charming villages; over deep ravines. The driver left us at a gondola, after which we skied to a chair or two, and arrived at the refugio around 2:30. A rock band was performing on the deck. The temps were in the 60s; the sun shining. The panorama exceptional. We ordered drinks, dropped into lounge chairs, and mellowed out. 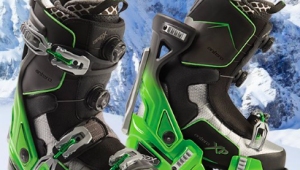 More, next week, on this Inspired Italy Ski Safari. This trip has always interested me. Is it a yearly event that I could join? Can I have rates and specific information? Are there ever non-skiing spouses along for the trip? Hi Doug, It’s a wonderful trip. 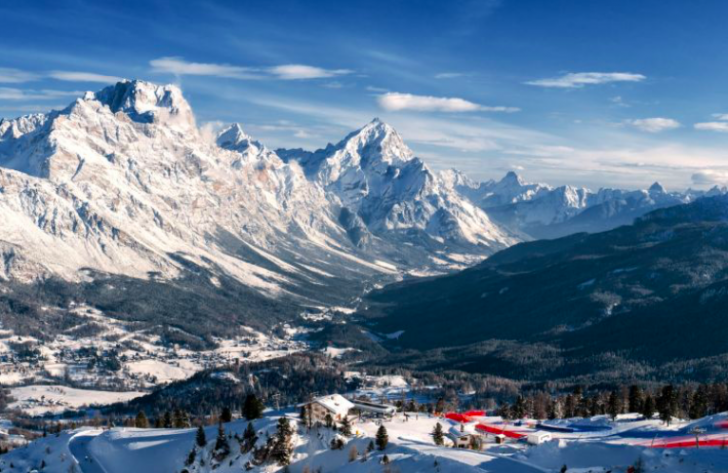 Inspired Italy conducts Ski Safaris throughout the season. I believe they are 80% booked for next season. The web address is https://inspireditaly.com/dolomites-ski-safaris/. I think that non-skiing spouses would require a separate, non-skiing itinerary, but check with Tim Hudson ([email protected]), who can provide you with a more informed response both about that and costs. Hope you have the opportunity to experience it. I went on this trip in February this year , and it was really great. I can’t say enough good things about it. And I am planning on going back next February. Yes, it is open to all as long as you are at least a good intermediate skier. There are multiple trips during the winter. If you search for Inspired Italy, it will take you to their website, which provides all the information you will want. I hope you decide to go, you will not regret it. 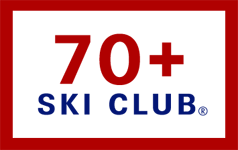 If you go back to the Feb 15 edition of Seniors Skiing in the Short Swings section, you will see some video on the trip. Jon: Which ski safari did you take? I went to their web site and they have several choices. Sounds terrific. I’ve done the Sella Ronda and started over in Ortesei so it added 6 more skiing miles. What an awesome day around the 36 mile trek 56 miles if you had the lift distance. On the way back to Ortesei the bottom half the typical easy going trail back into a town going by homes and huts across driveways winding trails and a mile or so from the bottom a restaurant on one side of the trail and on the other a fire pit with food and beverage service. What a great way to end the day. Highly recommend Ortesei as a base for Sella Ronda. Next we drove for a day in Cortina to ski the ladies World Cup downhill run. Then we were off to 4 days in Kitzbuhel to ski the Streif. Ortesei is a fantastic little town with every thing to offer for Apre-ski. It is on a local ski bus route to town of Selva which is on the Sella Ronda. Oriesei offers a gondola that will take you to the plateau of the Val Gardenia where you can ski in a bowl like valley surrounded by slopes and refuges. We have skied this area and stayed at the Hotel Stetnick in town about 6 times –two weeks each time. Rented a car to allow for travel to more distant day trips. It is fantastic but as we age ’75’ car rentals become a bit testy and medical needs can be a concern. You’re up in the alps and it’s a windy road down to medical facilities and trauma centers. I spent 6 days in early March, based in Campitello with tram access to what I’d describe as the largest bowl i’ve ever seen. When I discovered it, I needed no more exploring the endless series of trails. The run I preferred ended in Canazei. The bowl had at least 8 lifts crisscrossing it with some passing under/over each other. But it was close to a nightmare getting there from Innsbruck and a true inhibitor of my ever returning. Lastly, Ladino quisine was rather disappointing – truly different but not hearty or robustly flavored fare, which I craved. The day was always saved by gelato!